The most widespread international laws on compensation for pollution from ships are concerned only with oil pollution from tankers. This reflects the problems they were designed to address – as highlighted by the first major spills of oil cargoes – as well as the fact that the owners of oil cargoes would be funding part of the available compensation. The case for them doing so did not apply to other ships. These laws, set out in the Civil Liability and Fund Conventions, are not limited to pollution caused by the cargoes carried by oil tankers and will normally also cover spills of their bunker fuel. 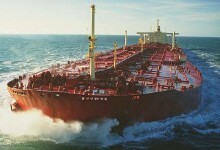 Bunker oil pollution from other classes of ship is covered separately by the Bunkers Convention 2001. This has many similarities with the tanker regime but differs from it in important respects. Neither of these regimes covers pollution by substances other than oil. Damage caused by hazardous and noxious substances is the subject of other laws. The above regimes are all concerned with pollution from ships. They do not apply to pollution from installations and craft which are not involved in the carriage of goods, such as storage units, platforms and rigs involved in offshore operations. Pollution from such units, or from the sea-bed as a result of accidents in drilling operations, is not subject to any international regime, and compensation depends on national law and practice in the affected coastal state.